Children are welcome at the Pubs. Yeah! Jet lag will happen. Plan for it. Yes. You should go to Northern Ireland! 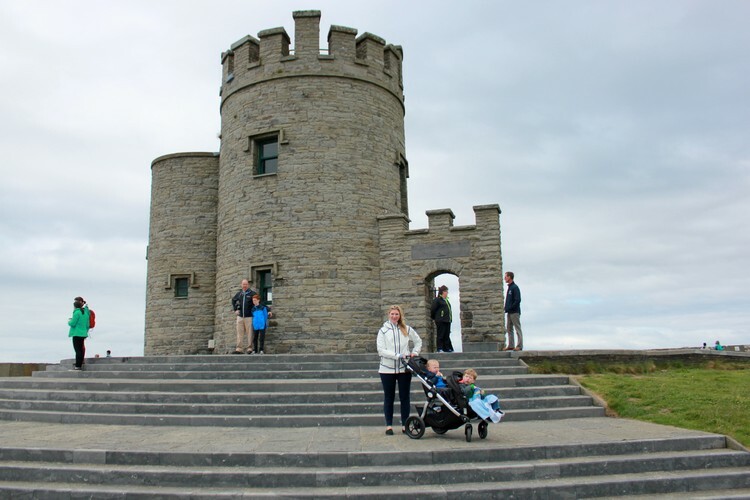 Ireland is arguably one of the best all around travel destinations for families. We spent 2 weeks driving around Ireland that included a few days in Northern Ireland. 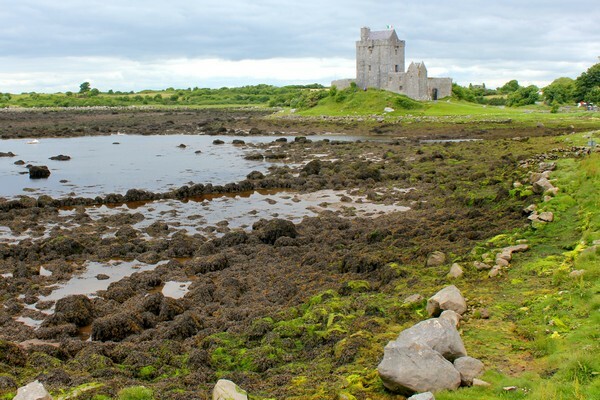 Today, we’d like to share a few of the Ireland travel tips we learned from our Ireland family road trip. We chose to visit Ireland for a few reasons. First, it’s loaded with tourist attractions and things to do. 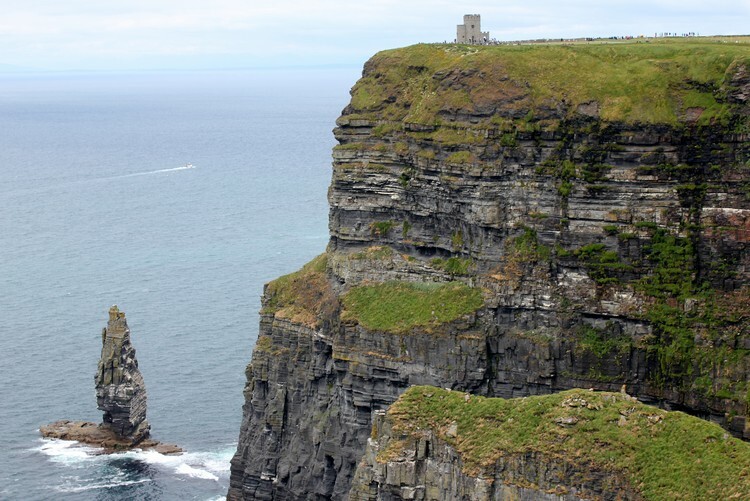 From the jaw-dropping Cliffs of Moher (pictured above) to the scenic Wild Atlantic Way to its endless supply of stone castles, there’s no shortage of things to see and do in Ireland. Second, it’s an English speaking country. This obviously makes communication much easier, as English speaking Canadians. Ireland is an easy country to navigate, whether you’re doing a road trip or traveling by bus or train. Traveling with young kids can be challenging at the best of times, so we like that communication barriers are removed (well, mostly). Third, it’s relatively easy to get to. Being Vancouver residents, we can’t avoid long haul flights when it comes to Europe. But having direct one-way flights to Dublin makes Ireland much more attractive. On a map, Ireland looks deceivingly small. We knew we would not be able to see it all, but we thought 2 weeks would be enough time to see the main attractions. It was not enough time. Not even close. If you stick to the main highways, you can get from city to city quickly. For example, driving from Dublin to Cork only takes 3 hours on the M7/M8 highway. BUT, you didn’t travel all the way to Ireland to drive down the main highway, did you? The scenic coastal roads that make up the Wild Atlantic Way showcase Ireland’s most spectacular landscapes, but it’s unlikely you’ll drive the entire 2,500 km route in one visit. It’s said to be the world’s longest defined coastal touring route. The coastal roads are quite windy and narrow, so you have to go slow. What looks to be an hour on the map can actually take 3-4 hours if you make time for photos. If you’re the type of person who enjoys spending hours in the car each day, you’ll be able to cover a lot of ground. If you’re traveling with young kids, like we did, it’s best to limit your drive times. Nothing kills a family road trip quite like cranky kids that want to get out of the car. 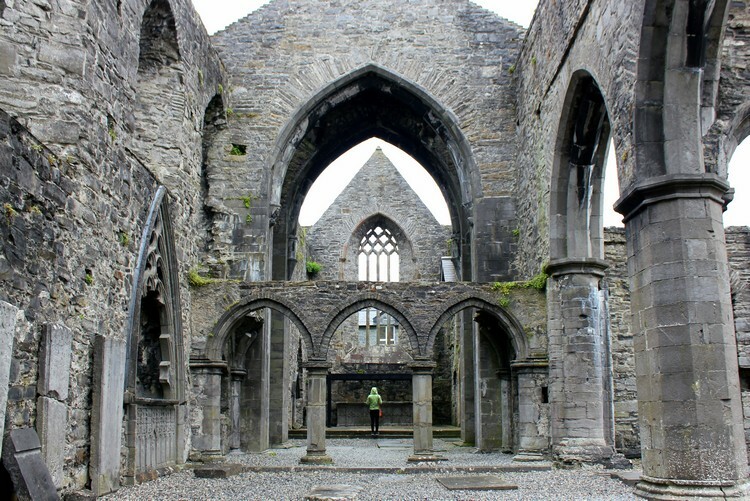 Ireland Travel Tip – Don’t try to do everything. Pick a few regions and go slow. 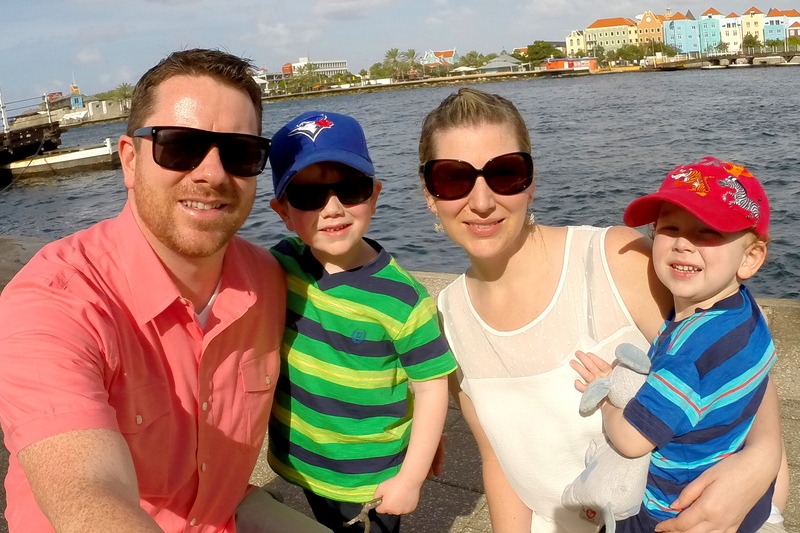 Be realistic with your itinerary, especially with young children. In case you didn’t know, it rains a lot in Ireland. There’s a reason why the countryside is so lush and green. We visited in late June/early July expecting to experience summer-like weather. We were wrong. The weather conditions can change quickly in Ireland. One minute it’s sunny and warm, the next minute it’s pouring rain. We even had hail one afternoon in Belfast. In July! Ireland Travel Tip – Bring plenty of warm clothes, even if it’s summer. It WILL rain, so plan accordingly. 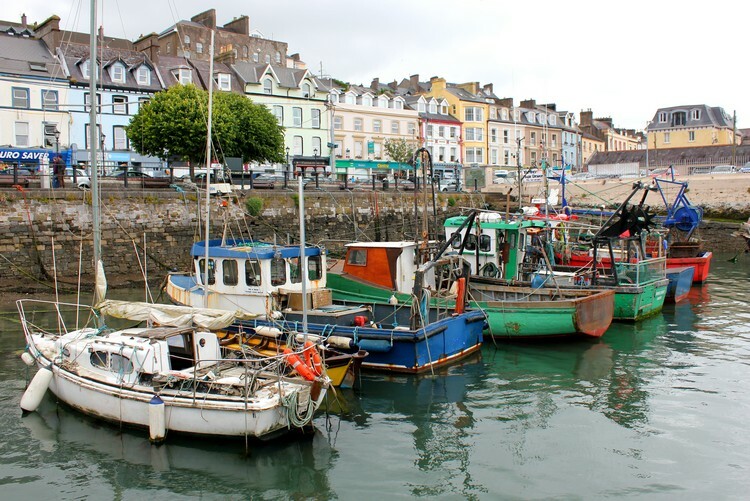 Building on the first point – there is a LOT to see and do in Ireland. If you want ultimate control of your schedule, renting a car is your best option. We planned a general itinerary for our Ireland road trip but plans changed frequently based on weather and mood. One memorable moment was when we stumbled on the town of Cahir. 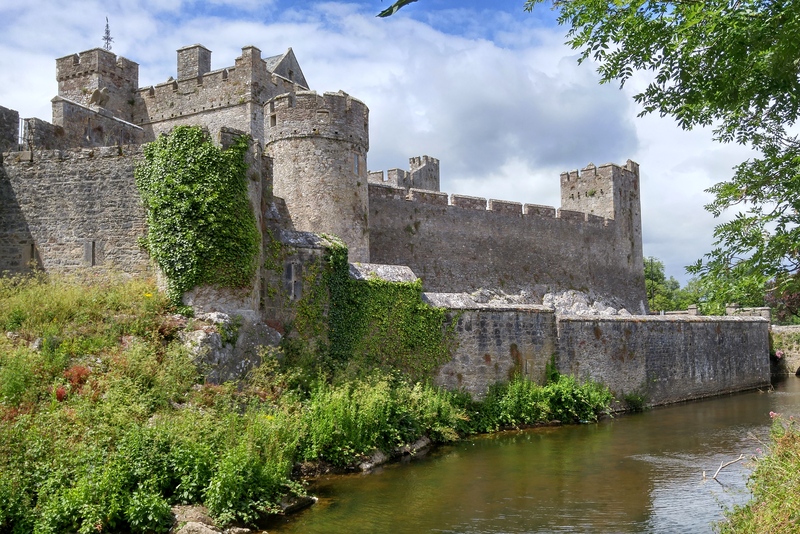 It was not originally on our radar, but we were getting hungry and we saw that Cahir has a beautifully preserved castle. So, we changed the plan and added Cahir Castle to the trip. It ended up being a highlight from our 2 week road tip. Having a car gave us the freedom to explore at our own pace. 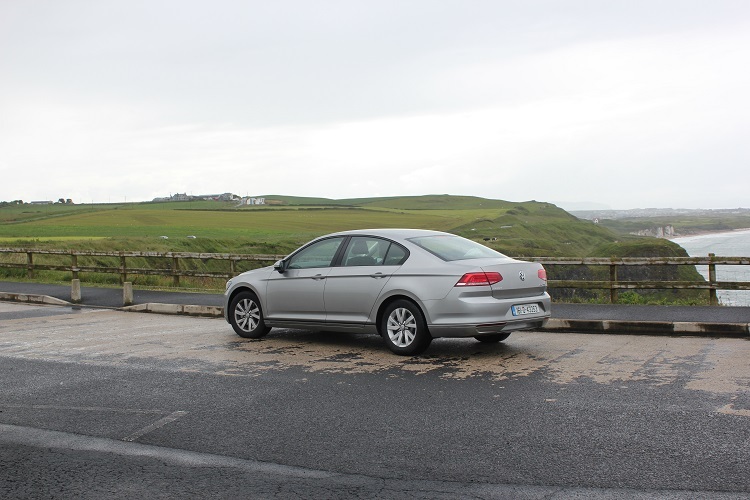 We reserved the vehicle with Car Rentals UK and picked it up at the Dublin Airport. We were given a roomy Volkswagen Diesel Passat that had great fuel mileage. I believe we only filled up the tank three times during our two week Ireland road trip. Country roads can be quite narrow, so be mindful of the size of car you rent. Street lights and signs are slightly different from North America and can be confusing. It’s best to have someone navigate. Choose an automatic transmission over manual. Don’t be a hero. Ireland drives on the left hand side of the road, so it can be confusing if you’re used to driving on the ‘right’ side of the road (pun intended). You must notify the car rental company if you wish to drive to Northern Ireland because some car rental companies don’t allow this. When we picked up the car, we paid an additional fee of $50 CAD to cover our time in Northern Ireland. Consider purchasing additional car reimbursement coverage in case of an accident. Use this affiliate link to get 25% Discount on car rentals in the UK. Similar to many cities in Canada, Ireland experiences long summer days. During our visit in late June, it didn’t get dark until after 10:00 PM. And when it finally gets dark, it doesn’t last long. Our boys need at least 10 hours of sleep to function properly. When on vacation, it’s easy to lose track of time. Every night we did a double take when we looked at the clock. Sometimes it was still light outside at 10:30 PM! It was confusing for our boys. We would tell them it was past their bed time, but they would point to the window and say, “but it’s still light outside”? They had a reasonable argument. Our solution was to shift their normal bed time by a couple of hours. We would go to bed at 9:30 PM (instead of 8:00 PM) and wake up later in the morning, usually around 8:30 AM. This shift in sleep schedule worked well for everyone. If you go swimming in a pool in Ireland (even hotel pools), you must wear a swim hat or cap. One of our readers mentioned this to us prior to our trip, but we couldn’t find the definitive ‘rule’ online. It’s true. Swimming caps are required. Even for young children. If you forget your swim cap, or don’t own one, most hotels have them available for purchase. The price for a swim cap ranges between 3-5 Euros per swim cap. We purchased these swim caps before our trip because we knew our boys would want to go swimming. We were glad we brought them, they came in handy. Unlike Canada, children are welcome in pubs. The pub culture in Ireland is arguably the best in the world. It’s one of the things we looked forward to most on this trip. It was so nice to be able to enjoy the pubs in Ireland with our kids. Many of the pubs did not have a kid’s menu but most would make something for the little ones. Our boys loved the chicken goujons (Ireland’s version of a chicken finger, only much better). Our littlest guy is allergic to dairy and eggs. As you can imagine, this can create challenges when we travel, especially when most of our meals are at restaurants. We always bring vegan butter and rice milk with us when we travel. We found the menus in Ireland very diet friendly. Most menus would have little graphics that described what items were in each dish (wheat, seafood, diary, nuts, egg, etc.). We still confirmed with the servers prior to ordering, but it was so nice to have this information readily available. Why doesn’t Canada follow this practice? Jet lag is an unpredictable beast that can ruin a tight travel itinerary, especially with young children. We find that traveling east, from Canada to Europe, is typically the most challenging. We’ve learned that it can take our boys a few days to bounce back, so we decided to rent an apartment for when we arrived in Dublin. This proved to be a wise decision. We had plenty of space and, most importantly, separate bedrooms to deal with different sleep schedules. Both boys were wide awake at 3:00 AM on our first day in Dublin, which was not an ideal way to start the vacation. But having wifi, cable television, full kitchen and bath tub made the transition quite comfortable for everyone. Travel savings – Use this link to receive a $40 credit when you book an apartment with AirBnB. We didn’t plan to do anything on our first day in Dublin. We knew that jet lag would make an unwanted appearance, so we purposely left our schedule wide open. Even with the first day spent at our apartment rental, we felt that 3 days was a sufficient amount of time to explore Dublin. Of course, this depends greatly on what you want to do in Dublin. 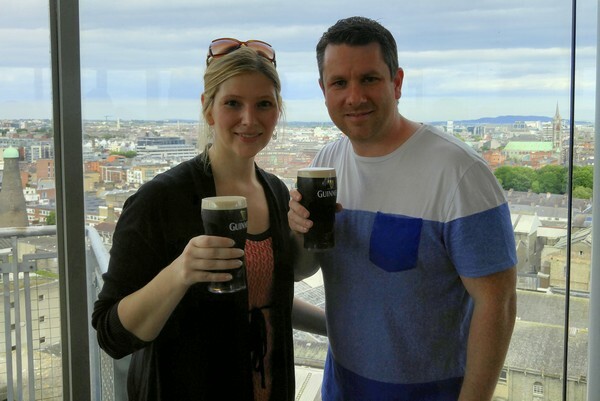 We visited the Guiness Storehouse, Temple Bar district, Dublin Castle and Trinity College. We planned to visit the Dublin Zoo but cancelled because it rained on the day we wanted to go (surprise, surprise. It rained in Ireland!). Instead, we wandered up and down the River Liffey and indulged in a few pints of Guinness. Not a bad compromise. 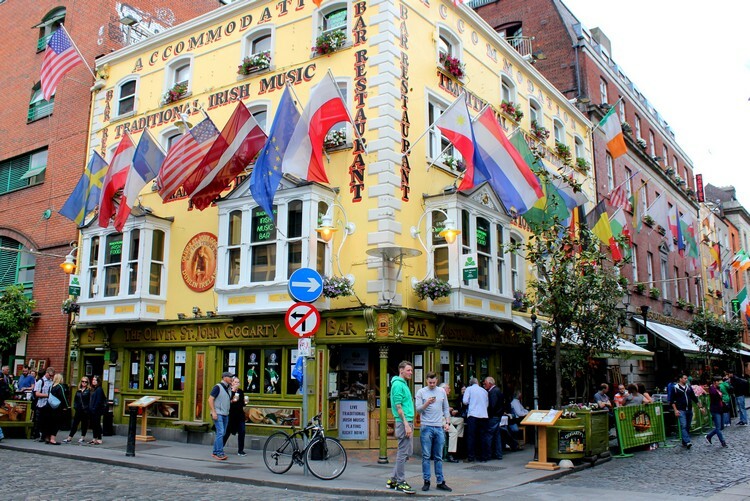 Here’s a link to find the best Dublin hotel deals. Fact. The Guinness served in Ireland tastes way better than in Canada. I didn’t believe it when a friend told me this. To be honest, I was not a fan of Guinness before visiting Ireland. But, you don’t visit Ireland without having a pint of Guinness, right? 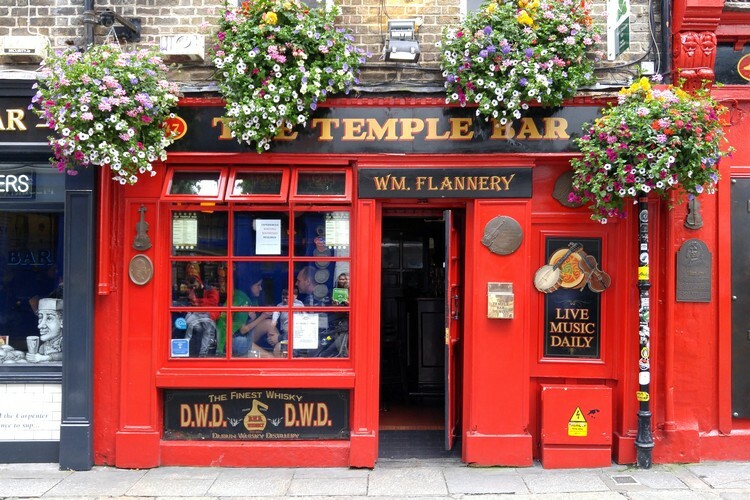 I was hooked after my first pint in Dublin. It’s so creamy and delicious in Ireland. I’ve since purchased Guinness in Canada and can say with conviction that it’s not nearly as good as the Guinness in Ireland. True story. When we were booking our hotels online it was common to be offered the option to pay extra to have breakfast included. To do this, we would need to pay for all 4 of us at the time of booking. We weren’t sure if the value was there, so we decided against including breakfast with our reservation. I’m so glad we did! Well, it turns out that kids under 5 years old actually get breakfast for free when accompanied by a paying parent. It would have been a big waste of money. Most hotels offer a large breakfast buffet for 10 Euros. Not only are they good value, the hotel breakfasts in Ireland are awesome. Do it. When I was looking at hotel options online, I was able to find 2 person rooms at a reasonable price. But when I added 2 adults and 2 kids the price would increase by $20-$50 per night. However, when I only put 2 adults, the price was always the lowest. We learned that if you’re traveling with older kids who need a bed, then you’ll need to book for 4 people and pay the additional cost. But, if you’re traveling with 2 young children, you can book for only 2 adults. Just be sure to book at least 2 double/queen beds. We did not have an issue with this strategy and the hotels were happy to supply a crib for Connor. When in doubt, call the hotel before booking. If you’re like us, you travel with a lot of electronic devices. We did bring one travel adapter with us, but it was not enough. Between ipads, phones, cameras and laptops, we needed more than one power outlet to charge our devices. All of our devices have a North American plug, which doesn’t work in Ireland. Fortunately we found another adapter plug from a vending machine at our hotel in Blarney. Ireland uses the Euro. Northern Ireland uses the Pound Sterling. I’m including this item because it was question we had when researching our trip to Ireland. We weren’t sure what currency to bring with us and we wanted to have some cash on hand, in case of emergency. We brought a small amount of Euros with us and found an ATM once we arrived in Dublin. It’s easy to find ATM’s in big cities but it’s best to have some backup cash when you’re in the country. Just to be safe. We typically use our VISA for most purchases, so we rarely carry a lot of cash. When we arrived in Northern Ireland we didn’t have any Pounds, but we were able to use our Euros (Euro coins were not accepted). You cannot exchange coins, so make sure you use them all before you leave Ireland. I can’t tell you how many times we looked the wrong way when crossing the street. In the big cities, most of the main intersections have big bold letters “LOOK RIGHT” on the pavement. This is a great reminder for foreigners. However, when you get out to the country, you’re on your own. When crossing the street in Ireland – LOOK RIGHT! To tip or not to tip. That is the question. Generally speaking, Ireland does not have a strong tipping culture. However, you might want to tip 10% at restaurants that have provided good service. It’s always appreciated, even if not expected. It’s important to note that some restaurants and pubs will add a ‘service charge’ to your bill. Most hotel restaurants will include a service charge automatically. If this charge is added to the bill, you do not need to include an additional tip. Tips are not expected for bartenders, taxi drivers, or fast food/counter service. If this is your first trip to Ireland you will likely face the same decision we had to make – do we include Northern Ireland or spend more time in Ireland? Having now visited both countries, the answer is a no-brainer. YES. You should absolutely go to Northern Ireland. We sacrificed visiting the Ring of Kerry and Dingle peninsula in order to make Northern Ireland happen. It was worth it. 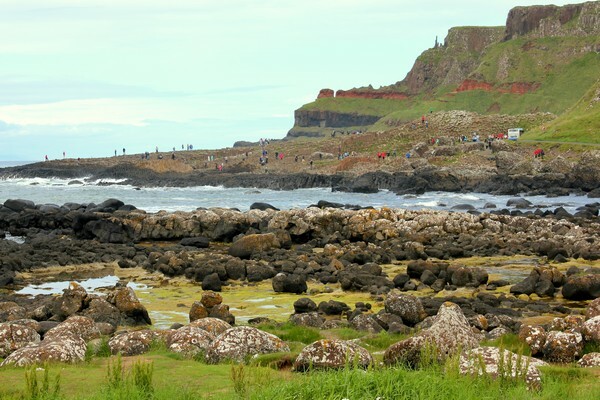 One of our trip highlights was driving the Causeway Coastal Route. We stayed in Portrush and highly recommend it for families. The cute coastal town has an indoor/outdoor amusement park and miles of beaches. We also really liked Belfast. I don’t know why, but we had a negative impression of Belfast. We were wrong. Belfast has a lot to offer and should be included in your itinerary. We stayed at the iconic Hilton Belfast in the heart of the city, located directly on the River Lagan. The Titanic Belfast is definitely worth visiting. It’s a museum and monument to Belfast’s maritime heritage, located on the site where the RMS Titanic was built. It’s a fun tourist attraction that has the right mix of history and entertainment. There are no formal border crossings between Ireland and Northern Ireland, at least not at the time of writing this (who knows what will happen with Brexit). In most cases, you won’t even know when you’ve official crossed the border. But, what you will notice is that in Ireland they use kilometers per hour, while Northern Ireland uses miles per hour. If you rent a car, make sure you tell the car rental company you plan to travel to/from Ireland to/from Northern Ireland. If you have an accident, and are not covered in the country where the accident occurs, you could be liable for a big bill. The top attractions in Ireland live up to expectations. We built our road trip itinerary to include the Blarney Castle, Cobh, Cliffs of Moher, the Wild Atlantic Way and the Giant’s Causeway. All of these attractions are incredible and worth visiting. 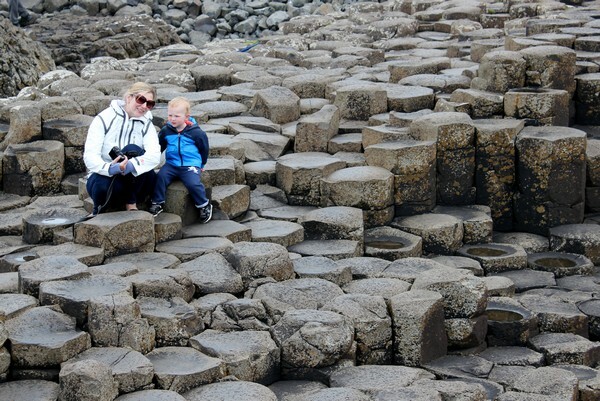 We thoroughly enjoyed our time road-tripping around Ireland and Northern Ireland. We believe it’s the perfect family friendly destination. Put it on your travel wish list, if it’s not already there. Have you visited Ireland? What are your Ireland travel tips? Share your experiences and Ireland travel tips in the comments section. Get your $45 credit for AirBnB accommodations here. Thank you for this! My parents and I are tentatively planning a visit to Ireland next summer, and these tips are a huge help. Your pictures are amazing, and it sounds like you had a wonderful trip. Thanks again! I have never been to Ireland before, hope to visit Ireland with my family soon!! The place looking so cool! We are planning to go Ireland this vacation. I will definitely go there. Beautiful photographs. I am going to the UK in April of this year…you definitely added some more places to see! Great advice. I am doing my homework because I plan on going to the Ireland and Northern Ireland in March. Cant wait to see all the sites and visit friends I met on the Camino. I had no idea about the coin thing with the Euros. Going to have to remember that since I use cash for everything. Ireland is definitely on our short trip. Thanks for sharing your details. Our boys are grown but there was still lots of helpful information here. We will be going to Ireland in August this year, and looking forward to the trip. Where is a good place to buy adapters in the states? This was a great article thanks. Good information as we are planning Ireland and Scotland in late May this year with Globus Tours. We are on Vancouver Island and wonder which airlines you used. Very informative …I’m going to Ireland this Sep. 2018 (already booked) with my family and was not sure if I had made the right decision…meaning there may not be much activities ..but you proof me wrong….after reading your well written experienced literature on your vacation in Ireland, am very happy to say, I have made a remarkable choice..thank you so much! Was it verry expensive. We are planning 8 days in may. It depends on what your are measuring it against. It’s not a cheap country, but there are ways to keep costs down. Could you give me tips on how mobile phones work? I’m going in March 2019 and I want to know if I can just get a SIM card for use in Ireland while I”m there. Not that I’m planning to do a lot of calling/texting, but it’s one thing that I have no clue about. Hi! What’s the brand of your stroller? Did you find any problem with it on renting car and on plane?